With an epilogue on recent Russian spying, a “page-turner of a memoir” (Publishers Weekly) about an American civilian with a dream, who worked as a double agent with the FBI in the early 2000s to bring down a Russian intelligence agent in New York City. For three nerve-wracking years, from 2005 to 2008, Naveed Jamali spied on America for the Russians, trading thumb drives of sensitive technical data for envelopes of cash, selling out his beloved country across noisy restaurant tables and in quiet parking lots. Or so the Russians believed. In fact, Jamali was a covert double agent working with the FBI. The Cold War wasn’t really over. It had just gone high-tech. “A classic case of American counterespionage from the inside…a never-ending game of cat and mouse” (The Wall Street Journal), How to Catch a Russian Spy is the story of how one young man’s post-college-adventure became a real-life intelligence coup. Incredibly, Jamali had no previous counterespionage experience. Everything he knew about undercover work he’d picked up from TV cop shows and movies, yet he convinced the FBI and the Russians they could trust him. With charm, cunning, and bold naiveté, he matched wits with a veteran Russian military-intelligence officer, out-maneuvering him and his superiors. Along the way, Jamali and his FBI handlers exposed espionage activities at the Russian Mission to the United Nations. Jamali now reveals the full riveting story behind his double-agent adventure—from coded signals on Craigslist to clandestine meetings at Hooter’s to veiled explanations to his worried family. He also brings the story up to date with an epilogue showing how the very same playbook the Russians used on him was used with spectacularly more success around the 2016 election. Cinematic, news-breaking, and “an entertaining and breezy read” (The Washington Post), How to Catch a Russian Spy is an armchair spy fantasy brought to life. I gripped the wheel tightly and steered the Jeep toward the warehouse. My heart was thumping so hard I thought Oleg might be able to hear it in the passenger seat. “You okay?” he asked in that flat, stiff English of his. The air was chilly for early April, but the morning was unusually bright. The year was 2008, nearly two decades after the Berlin Wall tumbled and the Cold War was consigned to the history books. The Jeep was a black-on-black SRT8 6.1-liter Hemi V8 with 425 horsepower and all the subtlety of a cinder block through a giant plate of glass. What the hell did that mean? Think about what? As I eased the Jeep to a stop in front of the old brick building, Oleg was staring straight at me. I knew this was a big day for him as well. The documents I’d promised, cockpit manuals for two of the U.S. Navy’s most important combat aircraft, weren’t classified TOP SECRET. But you couldn’t just buy them on Amazon or eBay. These were the technical operating procedures that American pilots relied on in Iraq and Afghanistan. These two fat, blue three-ring binders told you everything you needed to know in the pilot’s seat. A handoff like this one, I knew, would inspire Oleg’s Russian imagination. But it would do more than that. It would help convince his bureaucratic superiors in Moscow that he had recruited a potentially valuable mole in New York, a well-placed American civilian capable of delivering U.S. military data. I was the kind of American asset the secret-hungry Russians searched for, someone with the motivation and the technical expertise to deliver the goods. “We make an excellent team, you and me,” Oleg said. The binders were inside a large cardboard box in the trunk of my other car, a black Corvette Z06, which was parked inside this huge auto-storage warehouse on a quiet back street in suburban Westchester County, twenty miles north of New York City. The box was too heavy to drag into a restaurant or a coffee shop, which was where Oleg and I usually met. So he and I came up with an alternate plan. He would take the Metro-North train from Grand Central. I’d meet him at the station in Hastings-on-Hudson. The warehouse was down by the water, two blocks away. “You could make a lot of money,” Oleg said as I keyed my PIN into the security keypad outside the warehouse and the metal slats groaned up. “What’s a lot?” I asked him. I did love fast American cars. As I pulled the Jeep inside, the warehouse was chilly and dark. But once I flipped my headlights on, I could see the rows and rows of parked vehicles. Expensive sports cars covered with monogrammed tarps. A Mustang, a Lotus, a Porsche, various Benzes and BMWs—the weekend cars of affluent city people. There was also a giant dump truck and a couple of vintage fire engines. Even in this light, I could tell the fire engines were gleaming red. The warehouse was deathly quiet. As far as I could tell, Oleg and I were the only people around. As I drove deeper inside, Oleg glanced left and right and then behind us. What was he expecting? A dozen FBI agents rushing the Jeep? A spetsnaz special-forces team from the Russian GRU? I understood why he might feel jumpy. I felt jumpy, too. “The Corvette is down this row and to the right,” I said as calmly as I could. So much was on the line, for Oleg and for me, I couldn’t afford to screw anything up. Just then, a horrible squealing sound went off. I gasped, and Oleg froze. It took a second for me to realize where the alarm was coming from. For some reason, the Jeep’s radar detector had gotten tripped. I wasn’t sure what had made the device go crazy. Maybe my hidden recorder had set it off somehow. Maybe Oleg had something on him. I didn’t know. I just didn’t want anything spooking him. “We’re right up here,” I said, relieved to be in silence again. Getting my hands on the cockpit manuals wasn’t nearly as difficult as I’d expected. All it took was a ride to Long Island and a couple of well-crafted lies. Ted and Terry drove me to the office of a major defense contractor and sent me inside alone. I told the friendly clerk I was a researcher with a small tech company preparing a digital database system, and I needed some test documents. The only question was what I wanted. NATOPS, the blue binders said. Naval Air Training and Operating Procedures Standardization. “You wanna catch a spy, you gotta do a little spying,” Terry said with a shrug as we drove back to the city that day. Now I was about to hand them directly to Oleg, who was finally breathing steadily once more. I parked the Jeep behind the black Corvette, pulling in at a careful angle. He’d never asked me to do that. I knew he was worried I was recording him with my cell phone. He was right that I was recording him, just wrong about how. So I didn’t only turn the phone off. I opened my door. I quickly scanned the area, making sure no one was around. And I set the phone on the hood of a sleek black BMW M6 parked next to us. I had passed that test. “You wanna have a look?” I asked him. Oleg stepped out of the Jeep and stood next to me behind the Corvette. I opened the trunk. The cockpit manuals were just where I’d left them. Oleg stared for a moment. Then he picked up the manuals, confirming that both of them were there. One was for the F-14 Tomcat fighter jet. The other was for the E-2 Hawkeye early-warning aircraft. Oleg concentrated first on the F-14 binder. As he flipped through the pages, I glimpsed a sketch of the fighter jet’s instrument panel. I saw several schematic diagrams and other charts and graphs. There were drawings and blocks of dense gray type. Oleg stared intently, looking almost transfixed. “You wanna sit in the Jeep and have a closer look?” I asked him. I lifted the big cardboard box from the Corvette trunk and placed it on the concrete. Then I reached with my right hand to close the trunk. I don’t know what I was thinking. Obviously, I wasn’t thinking at all. Or at least I wasn’t paying attention to the precise location of Oleg’s head. It all happened so quickly, I didn’t know what to think. I knew I’d done something profoundly stupid. I had done it at the worst possible time. Just as Oleg and I were moving together from covert to operational. Just as the noose was settling around his neck. Just as I was convincing him that he could really trust me. Just as I was proving what a valuable asset I could be. We were taking this leap together into espionage—and I’d slammed the damn trunk on his head. As I leaned over to check how badly I had hurt him, terrible thoughts were racing through my head. I had just blown the whole operation. I had maimed a senior Russian diplomat. Certainly, he would think I was trying to kill him. It was all being recorded. Would Oleg be convinced he should never do business with the likes of me again? For three nerve-wracking years, I spied on America for the Russians, trading thumb drives of sensitive technical data for envelopes of cash, selling out my own beloved country across noisy restaurant tables and in quiet parking lots. Or so the Russians believed. In fact, I was a secret double agent working closely with the FBI. The Cold War wasn’t really over. It had just gone high-tech. I had no previous experience as a counterespionage operative. Everything I knew about undercover work I’d learned from books, movies, school assignments, and Magnum P.I. episodes. Ronin, Spy Game, anything with Bond or Bourne in the title—I devoured that stuff. I was in my late twenties by then, a bright but aimless New York University graduate, working in a family business with my immigrant parents, trying to figure out what to do with my life. I had a nice apartment on the Upper West Side of Manhattan, a young wife freshly out of grad school, and a tendency to spend way too much time in front of computer screens. I’d read a bunch of books about the Cold War and the Soviet Union, and I’d seen almost every war movie ever made. But I didn’t speak Russian. I never liked borscht. And the closest I’d gotten to Moscow or St. Petersburg was a medium-priced bottle of Stolichnaya from International Wine & Spirits on Broadway and 113th Street. I certainly didn’t fit anyone’s stereotype of a smooth double agent. Jamali, Naveed Jamali? Don’t make me laugh! And yet there I was, at the center of a long-running counter­espionage operation that I cooked up mostly on my own (thanks to an unusual family connection), then convinced the FBI and the Russians to go along. It was proactive, not reactive—and I was the active one. Looking back, I can hardly believe I pulled it off. How I did it, why it worked, and what I learned about my country, my family, and myself—that’s a story I want to tell. By the time we were finished, we had cast a bright light on an active espionage campaign operating out of the Russian Mission to the United Nations in New York. We had suckered an experienced Russian military-intelligence officer into trusting a young American amateur, embarrassing him and his nation. We had earned a solid American win in the escalating hostilities between Moscow and Washington. And we had helped to disprove, for those who had any doubt, the supposedly benign intentions of Russia’s post–Cold War leaders, Vladimir Putin especially, who kept telling America how much they wanted to be our partners and our friends. He seemed dazed but alert. “Are you all right?” I asked, putting my hand on his shoulder. “All right,” he said. “I have a very hard head.” Then he flashed a faint smile. “A hard head,” he repeated. It was a lame joke, in Russian or in English, but a welcome one. I was relieved that Oleg was conscious enough to deliver it. I knew right then that he and I had crossed a crucial line. Despite my squealing radar detector, my clumsy trunk slam, and my amateur’s nerves, Oleg wanted me as much as much as I wanted him. Even more so. By the time we left the warehouse, I had an envelope of Oleg’s cash inside my jacket pocket. I’d fed him a story he could validate from the outside. I had solidified his personal confidence. The experienced Russian military man was convinced he could trust the young American amateur. He would not turn back. He did not want to. He was persuaded that I was for real. Oleg wasn’t letting anything, including a trunk lid to his hard skull, divert the two of us from where we were headed next. 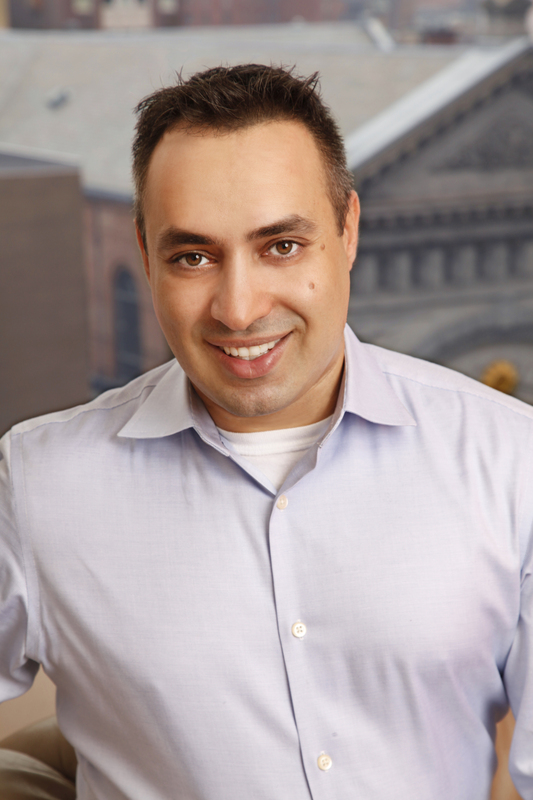 Naveed Jamali spent three years as a civilian double agent then joined the US Navy as a reserve intelligence officer, where he continues to serve. He has appeared as an expert commentator on several TV networks and is currently a regular contributor to MSNBC as well as Newsweek magazine. Ellis Henican is a newspaper columnist, TV political analyst, and author of several New York Times bestselling books. 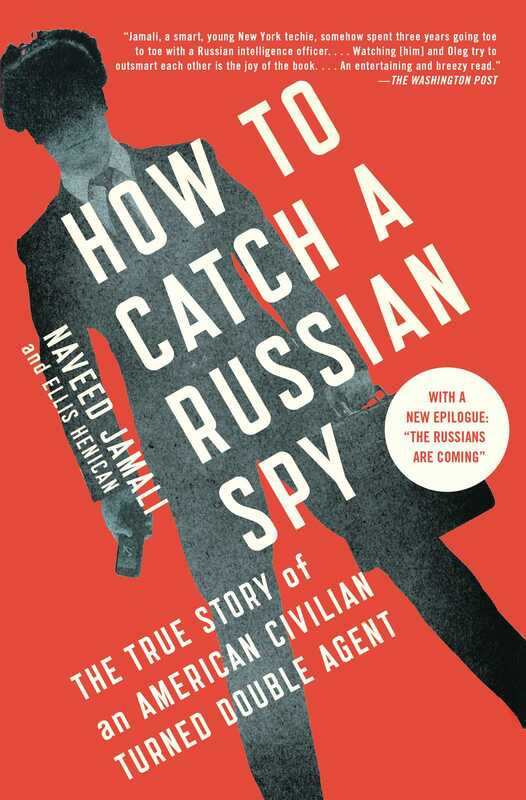 "The end of the Cold War didn't stop Russia's intelligence operations in America, as Naveed Jamali's amusing tale of his life as an amateur spy deftly illustrates. Corvettes, military secrets swapped in suburban Uno Pizzerias, and a clandestine operation to snare a Russian operative at Hooter's—this is a real-life Get Smart for the twenty-first century."